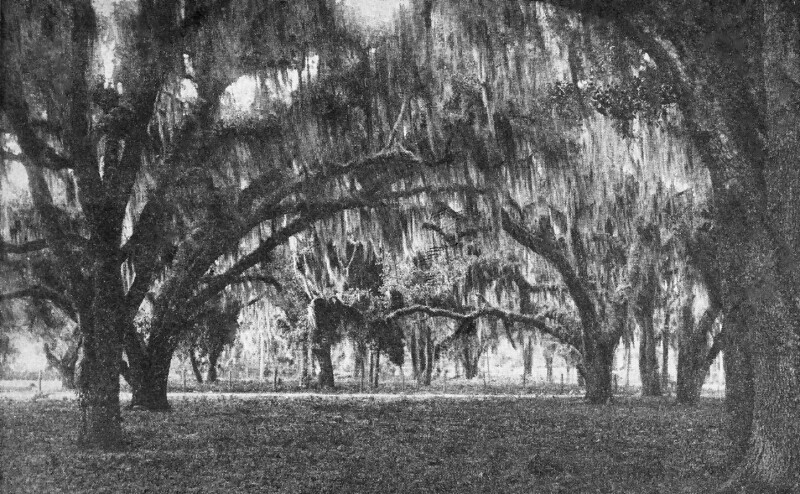 This postcard shows an area where large oak trees are growing. The understory is short grass. The trees are set fairly far apart, but their long, curvilinear branches come form a closed canopy.